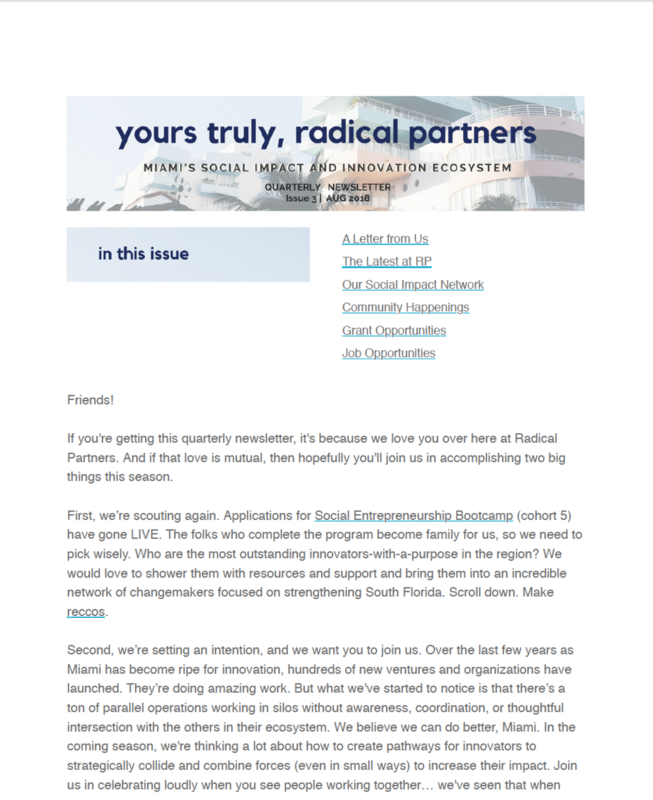 Every quarter, we at Radical Partners send out a newsletter sharing our latest updates, providing insights into the current climate of of our city’s social impact ecosystem, and showcasing community events, grant opportunities, and job openings that may be of interest or helpful to change-makers in Miami. 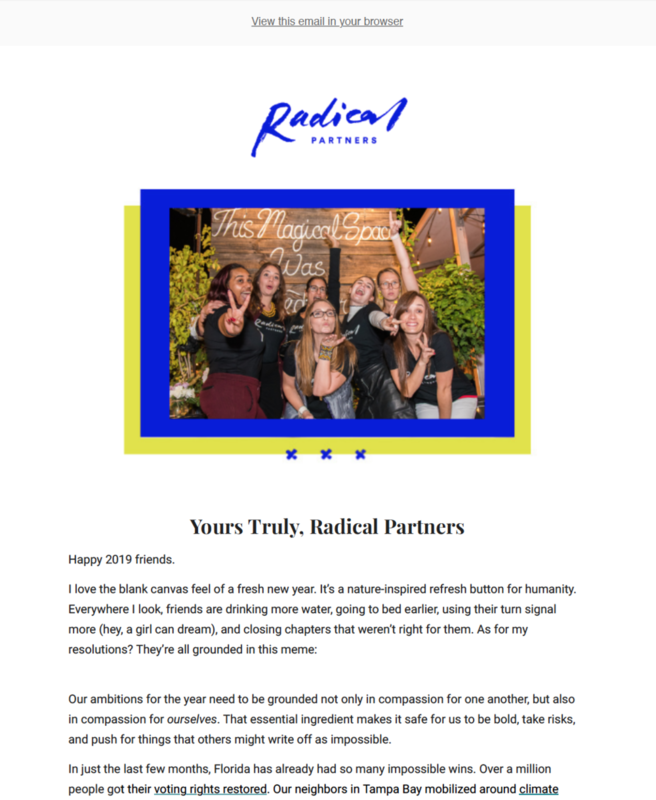 Check out our previous newsletters below and sign up to receive future newsletters at the bottom of the page! 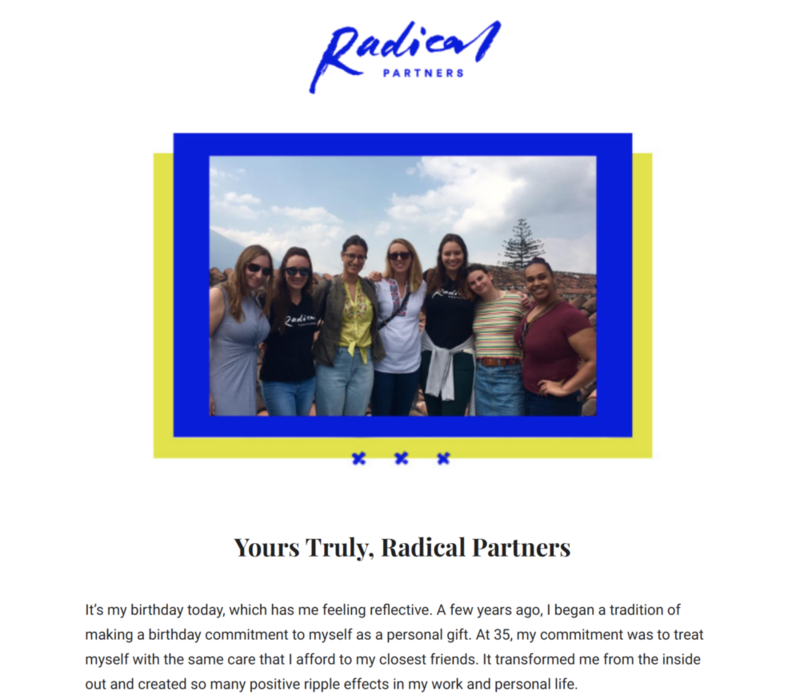 Thank you for signing up for our newsletter! We look forward to getting to know you.